Hey! 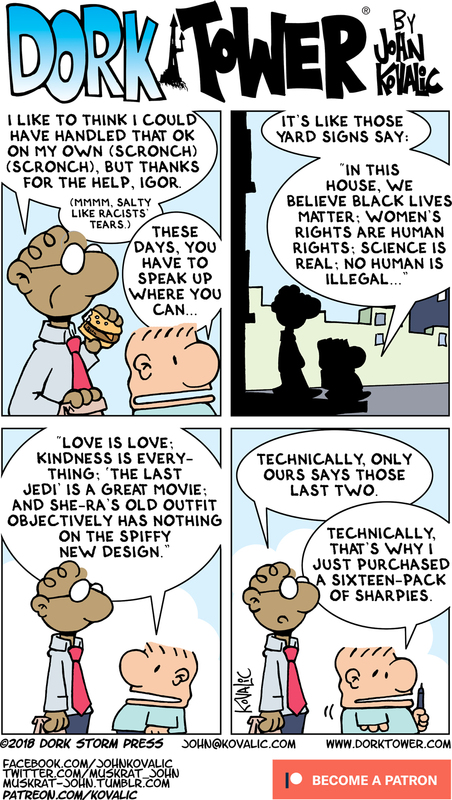 Dork Tower has a Patreon campaign with wonderful backers who help the webstrips happen. And there’s bonus comics, and swag! Sweet, sweet swag! Check it out, why don’t you? Join the fun! FUN!